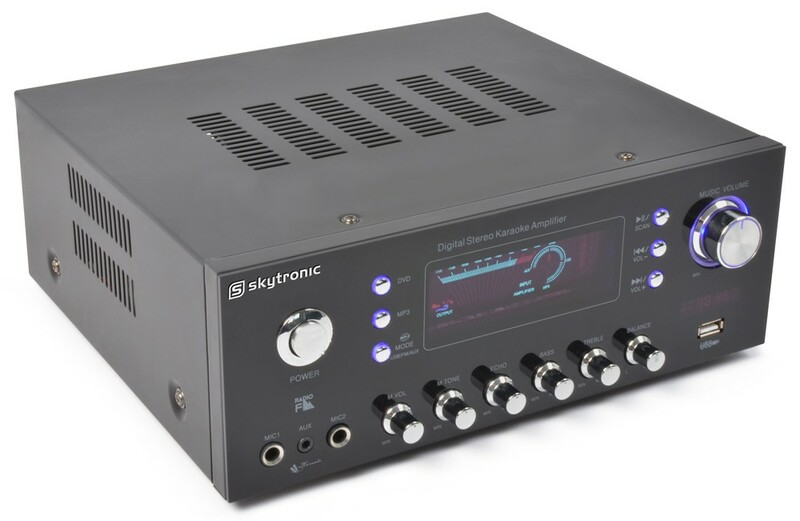 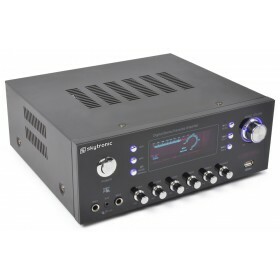 This very nicely designed mini karaoke amplifier provides you with 2x 60 watts of power. 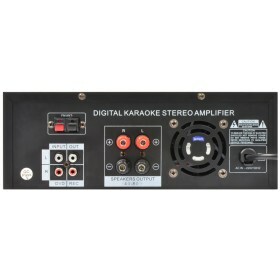 Turn house parties into karaoke festivals. 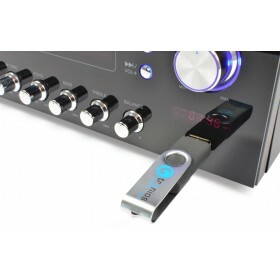 Equipped with USB connection for MP3 play, Bass/Treble and Echo control, dynamic screen display, two microphone inputs etc. 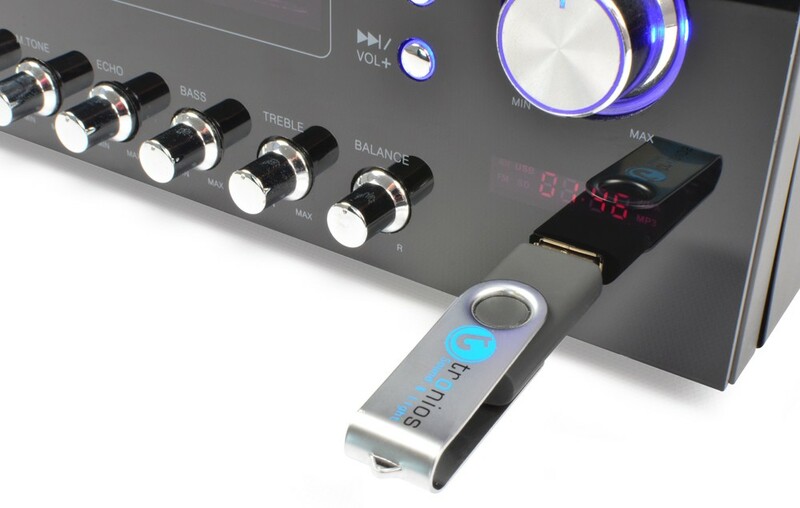 Perfect for applications as Hifi and background music as well.